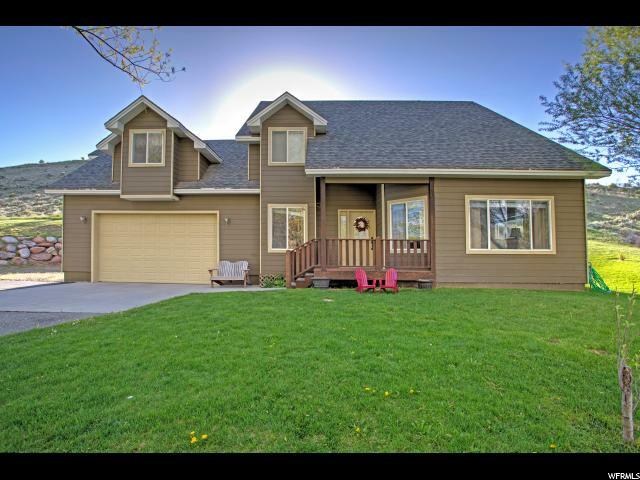 All Wanship homes currently listed for sale in Wanship as of 04/18/2019 are shown below. You can change the search criteria at any time by pressing the 'Change Search' button below. If you have any questions or you would like more information about any Wanship homes for sale or other Wanship real estate, please contact us and one of our knowledgeable Wanship REALTORS® would be pleased to assist you. "This 80-acre estate is un-matched in privacy, seclusion and setting. 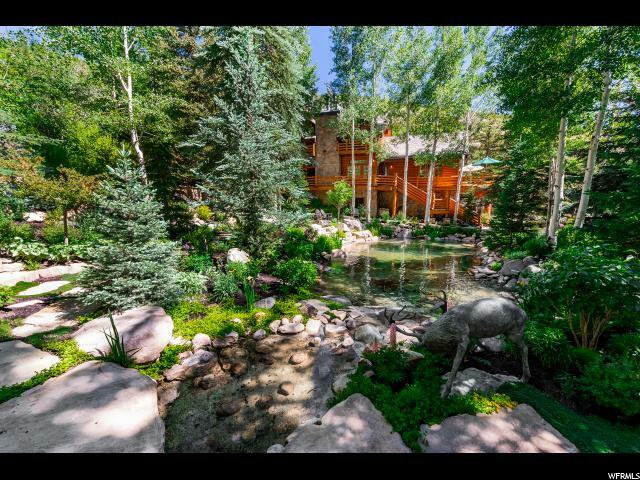 The home is nestled at the end of private box canyon next to a pristine spring fed pond suitable for both swimming and trout. Impeccably landscaped this property offers incredible outdoor space, waterfall, terraces and places to relax or enjoy a barbecue next to the stream. The 5669+ square foot cabin offers comfortable mountain cozy living with all the luxuries that are expected. 15 acres (Tax ID# SS-156-C-2) & 40 Acres ( Tax ID#: SS-156- C-1) adjacent to home are included in sale, total of combined acreage is 80 acres. Both lower level bedrooms offer woodburning stoves and patios overlooking the pond." "Don't miss this perfect home in a quiet location. Views, totally updated, great space both inside and out for family and friends. Totally different environment. Red hills and Juniper trees dot the land scape with miles of trails to keep you busy. Ride your horse, bike and hike for miles. Lots of room to entertain both inside and out. 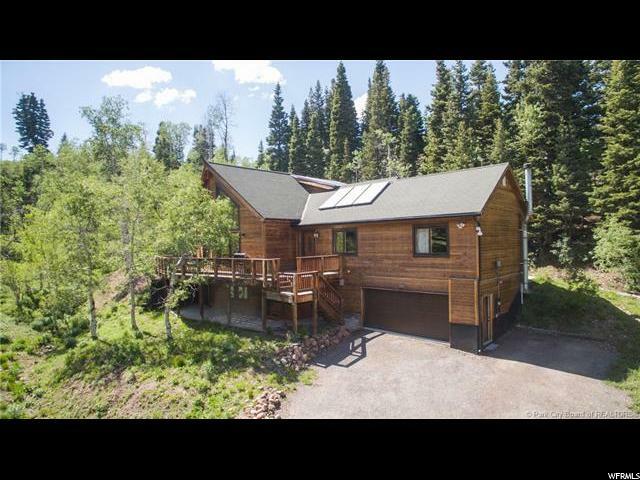 Easy to commute to either Park City (8 minutes to Jct of 40 and 80) or 40 minutes to down town SLC." 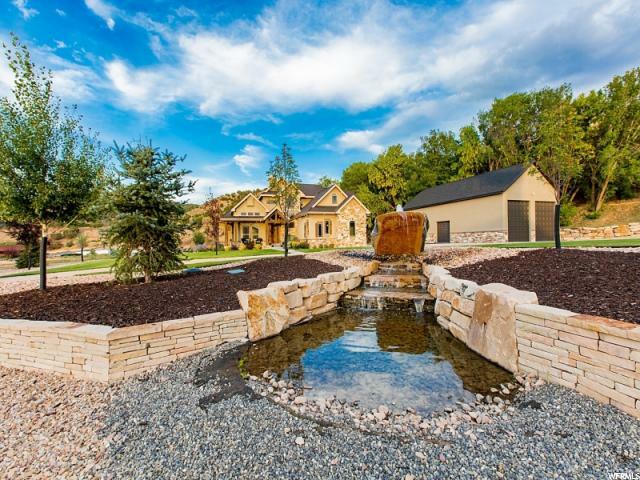 "This stunningly appointed 6 bedroom home in the beautiful countryside is perfectly situated for easy access to I-80 for a quick jaunt to Park City or a trip with zero traffic lights to the SLC International Airport. Beautifully landscaped and with water features front and back. Luxury throughout with gorgeous birch floors, high ceilings, granite counters, knotty alder case & base. Master & office on the main floor with additional family room downstairs with lower level walk-out. Comfortable deck and patio for relaxing and cooking outdoors. Plenty of storage and a 2,664 sq. ft. detached garage/work shop provides plenty of room for your snowmobiles, boats, RV, ATV's, etc. This is a special home for those looking for comfort and elegance and the need for ample room for everything." "This is Park without the City. Private living on the edge of wilderness. There is nothing like it, or even close to this one out there. 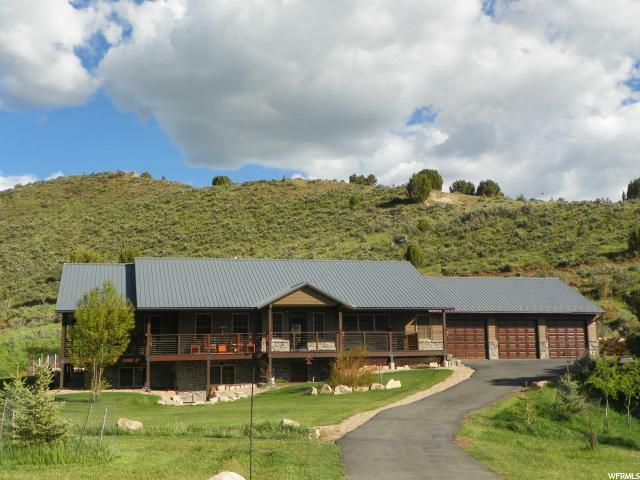 You can't fully appreciate the unique location or the abundance of wildlife on this Wanship Horse Property until you see it for yourself. 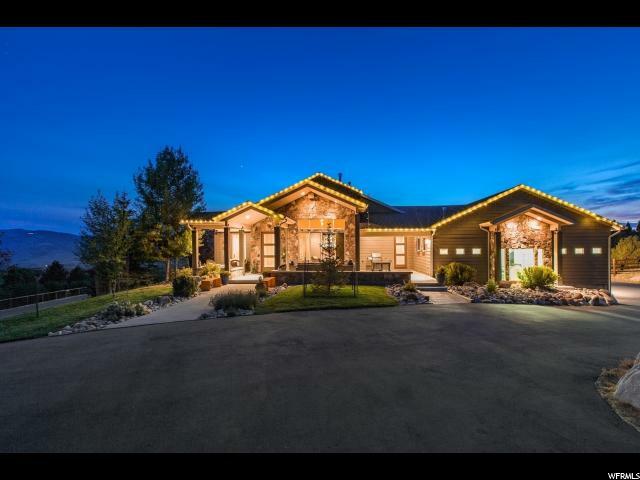 Two Homes (4400 sqft main res and 1600 sqft guest home) are perfectly set on the 2.2 acre deeded lot, with another 2500 acres of exclusive access HOA and landlocked state ground (DWR Elk Habitat). As a horse property, it's perfectly arranged with a trailer friendly circular drive, barn, shelters and run ins, water and power to every paddock, irrigated pastures, drains, tack, hay storage and more. Over 10 miles of riding trails, 15 min drive to Park City, 35 min to SLC, and yet it feels like 100 miles from 'civilization'. Easy to show, just see it. Check the photo tour, and allow yourself an extra 30 min for a personal tour of the immense privately accessible acreage. EVERYTHING negotiable, furniture, tractor and equip, etc. through early December." "Private ranch style home in a quiet canyon setting. 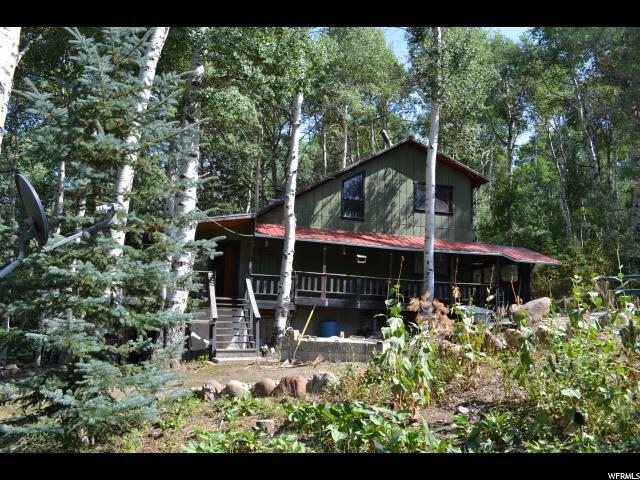 2.82 horse friendly acres with a year round spring, Open floor plan with the master, large kitchen, great room, office, laundry, and gear room on the main level. Oversized 3 car garage and great outdoor space. 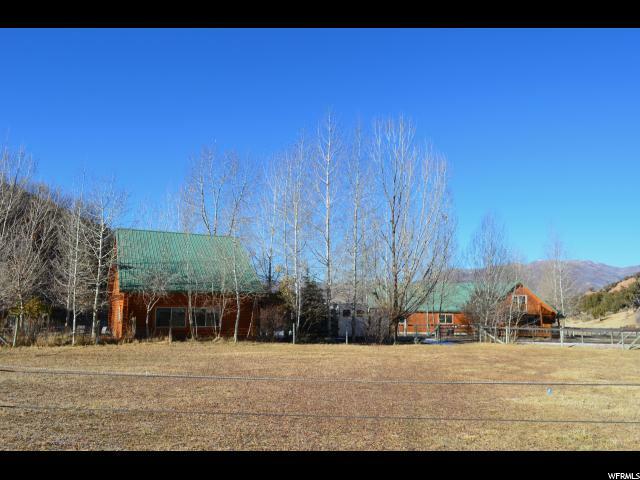 Over 10 miles of hiking/horseback riding trails and exclusive access to another 2500 acres of combined HOA and landlocked state land (DWR Elk Habitat). 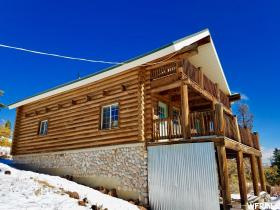 Conveniently located with easy access just 15 minutes to Park City, 35 minutes to Salt Lake City. " "Lots of pines make a beautiful backdrop for this mountain contemporary home. The kitchen is open to the main living area and can seat the largest family. Two separate living areas allow t While this property is a great home for a large family, it has recently been used as a very successful short term rental. Buyer to verify all representations to their own satisfaction." "Fantastic fully finished Rambler in established neighborhood. Open floor plan great for entertaining Large living room in walkout basement with surround sound. Natural gas line for bbq grill so you'll never run out of propane! . Master suite includes extra large shower and walk-in closet. Lots of counter and cupboard space in kitchen. Located close to Mountain View Corridor. Come see today!! " 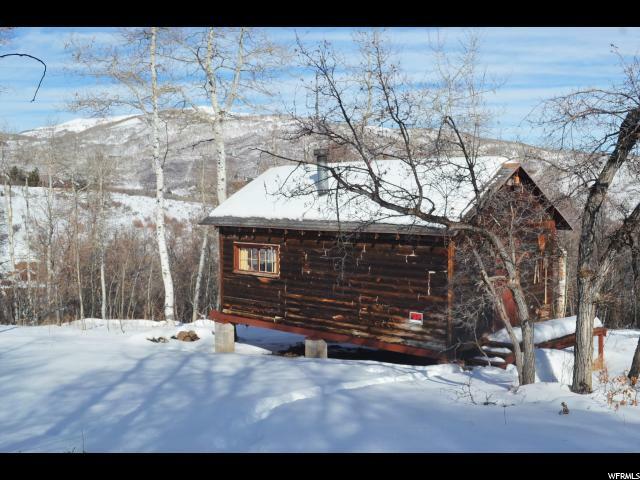 "This great 2 bedroom, 3 bath log cabin sits above Park City in beautiful Tollgate Canyon and features stunning views of the Wasatch Mountains and nearby ski resorts. The exposed log interior and first floor wood burning fireplace add to the cozy ambiance of the home, with a loft area perfect for a reading nook, tying flies for your next river trip, or a children's play area. The large first floor deck provides a great entertaining area, while the two second floor decks provide private areas for wildlife watching and enjoying the peace and quiet Tollgate Canyon offers. The finished basement allows for even more living space with plenty of room for your friends and family. The outdoor storage shed on 0.58 acres provides more storage for your skis, snowboards, fly rods, and mountain bikes, and room to grow!" "Known as The Trapper's Cabin. One of the earliest cabins in the Forest Meadow area. Purchased from the Forest Service decades ago and moved to it's present location. The cabin is wired, but not connected to the power in the street. It has a paid water hookup, and usable water hydrant. THE LOT IS FANTASTIC!!!"